Replica is a social theatre and it dives where it hurts us most – the wounds we call “mistakes of society”. Our task was to create its new brand identity including logo, business cards and image key visuals. With the art direction we wanted to make a reference to the social themes the theatre is representing – truth is never one-colour and it is always on the move. 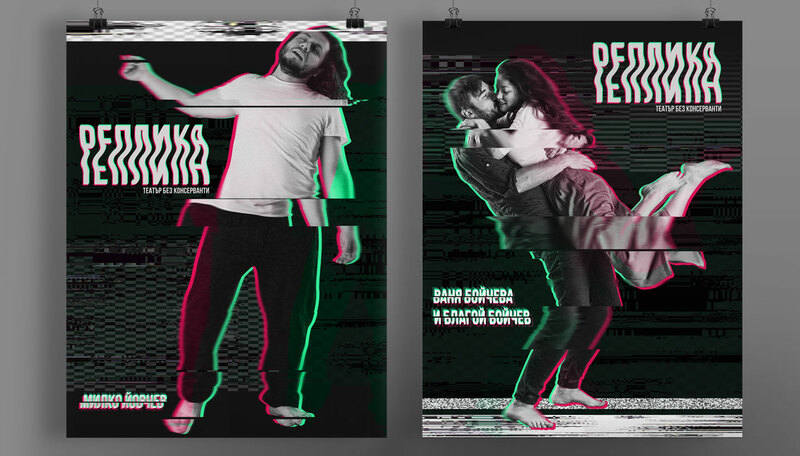 The main elements of the brand identity are glitch effects and combination of different textures and patterns giving the feeling of movement and controlled imperfection.